Mercedes Sarmiento was struck and killed by a hit-and-run driver in southwest Miami-Dade. NBC 6's Amanda Plasencia reports. Police are investigating after a pedestrian was struck and killed by a hit-and-run driver in southwest Miami-Dade Monday night. The incident happened around 8:30 p.m. in the area of Southwest 44th Avenue and 8th Street, Miami Police officials said. Miami-Fire Rescue responded and rushed the victim to Jackson Memorial Hospital in critical condition but she later passed away, police said. Police identified her as 61-year-old Mercedes Sarmiento. The crash occurred Monday night near Southwest 8th Street and 44th Avenue. 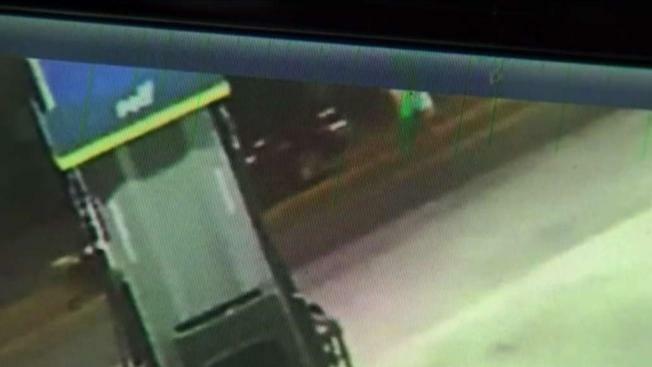 Surveillance footage showed Sarmiento inside a nearby gas station shortly before she was struck as she was trying to cross a street. Officials said a black vehicle believed to be a Lexus struck Sarmiento, but witnesses said another vehicle may have initiated the crash and caused the black vehicle to hit her. 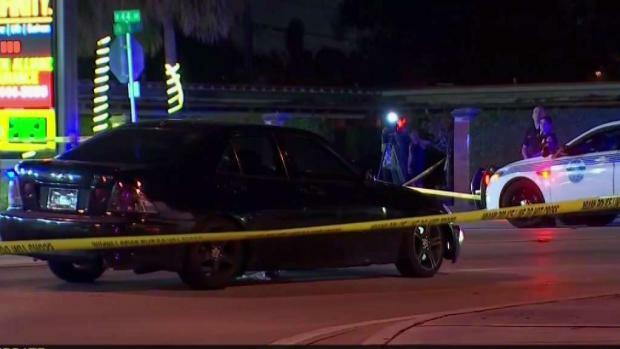 "The driver stated that as he was traveling eastbound on southwest 8th street approaching 44th Avenue the female victim went to cross the street at which point he struck that victim," Miami Police spokesperson Kiara Delva said. "However, he is stating that there was another driver involved that was traveling westbound that initially caused the accident. So at this time our detectives are considering this investigation as a hit and run." Detectives are looking at surveillance footage of the incident, which remains under investigation.